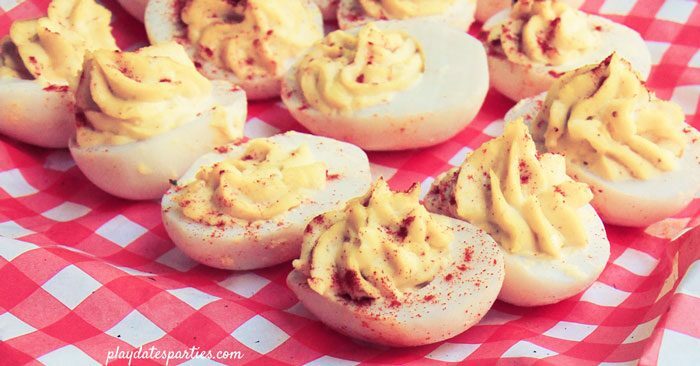 Need a last-minute party idea that is easy to pull together? Try hosting a s’mores party! This awesome theme is all about the ingredients, which makes decorating so much easier! Nearly three years ago, I spent 10 days killing myself to create a party for my oldest daughter. Our house was transformed. It was truly an amazing party. This is not that party. This is the party we hosted merely one week after that mega-bash, for my then one-year-old son. The youngest of our three kids. And in true third-child style. It was thrown together with hardly any planning. We just invited family members over for a barbecue, raided old party supplies for decorations, and set up a fun DIY s’mores party for the kids. It was totally ad-hoc, and totally fun. So, What Do You Need for a S’mores Party? The heart of a s’mores party is the DIY s’mores bar. 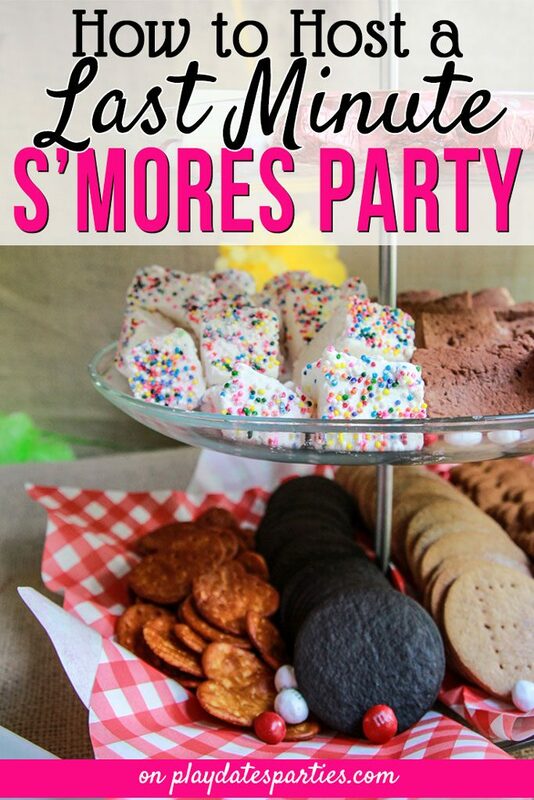 You can do whatever else you want for the party, but you need to have a variety of ingredients for your guests to make the most interesting and creative s’mores possible. Don’t forget to have fun with the marshmallows, too! 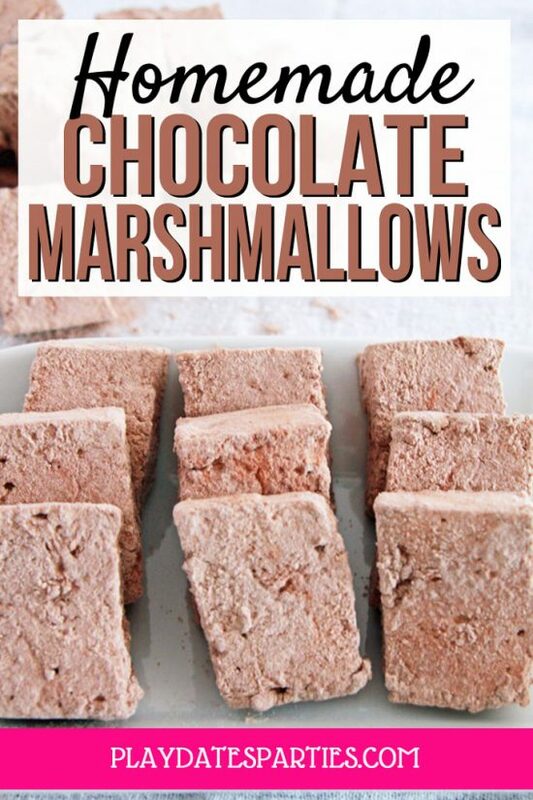 You can buy store-bought marshmallows if you want, but did you know that marshmallows are incredibly easy to make at home? And they store well for days, which means you can make your own gourmet marshmallows a week or so in advance. That makes party day easy peasy! Don’t want to make your own? You can also offer up fun options like marshmallow peeps or flavored store-bought marshmallows, too! 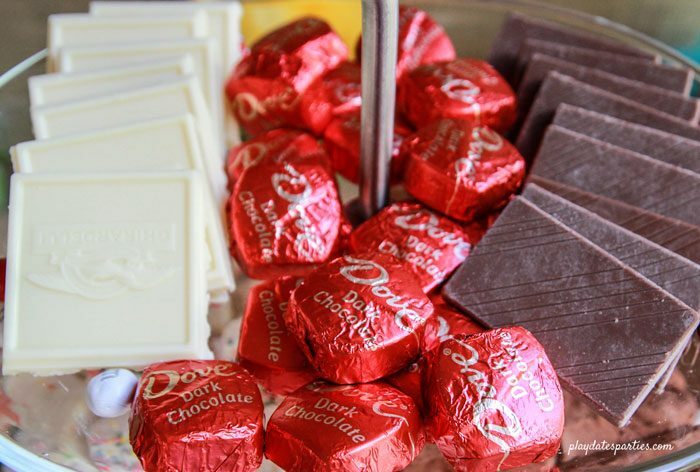 If it’s an adult party, try adding in gourmet chocolates with fun flavors like chili, coconut, and sea salt. If I could go back in time, I would have added a few of these fun extras to the mix. The kids might have ignored them, but I bet the adults would enjoy adding something fresh to their s’mores creations. Okay, so with only a week to prepare, and being totally exhausted, I admit that we didn’t decorate exactly the way I typically would. 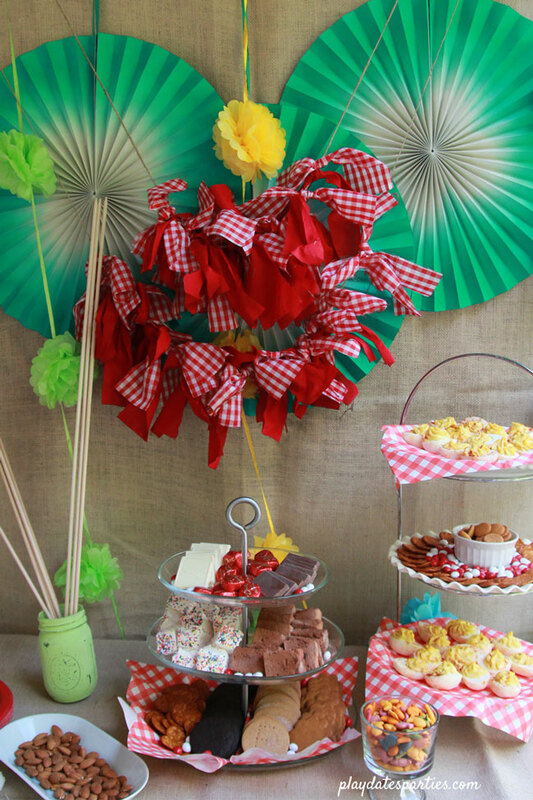 But I do love the way the bright green rosettes and red gingham accents came together with the burlap backdrop and tablecloth. It was just the right amount of pop with rustic touches. Plus, the whole party came together in only about 2 hours. It’s hard to argue with that! Create a tabletop menu board with suggested s’mores combinations. 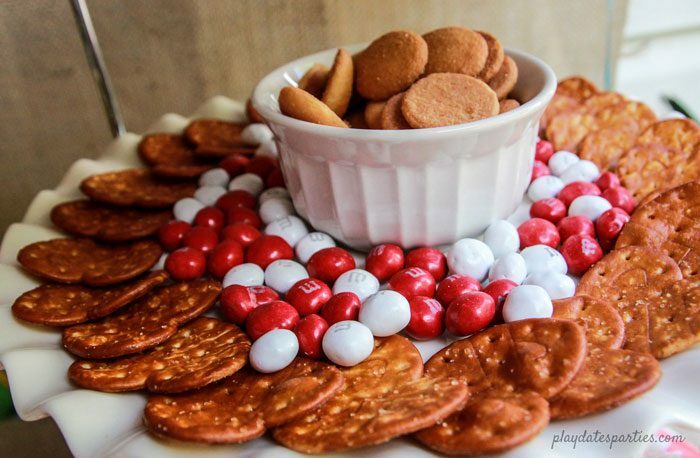 Red gingham basket liners are an easy way to add color to party platters. 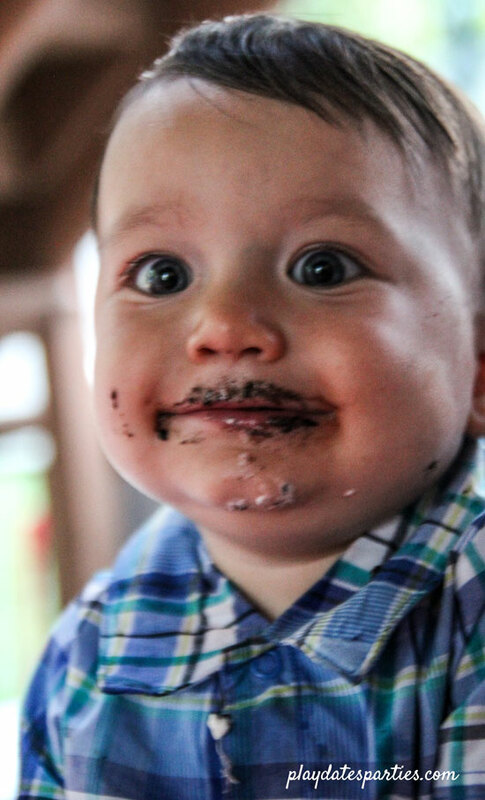 I know the photos is blurry, but the birthday boy definitely appeared to have a grand time at his first birthday s’mores party. Even if it was pulled together at the last minute! No, this wasn’t the big highly-styled party that we usually throw for our kids. (sorry third baby!) But, it was a lot of fun to pull together. I’m pretty sure we’ll be having at least one more s’mores party at some point, too. 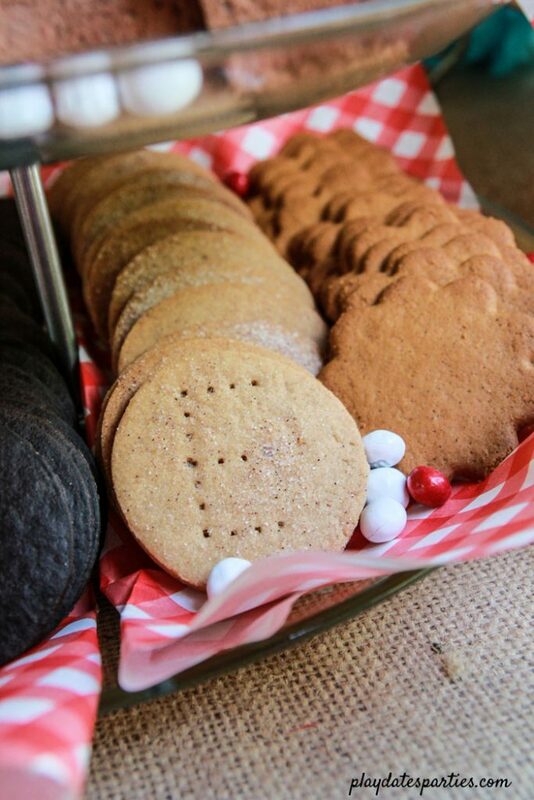 Have you ever hosted a s’mores party? What are your favorite creative s’mores twists? That photo of your happy son!! YUMMMMMMMMM!!! 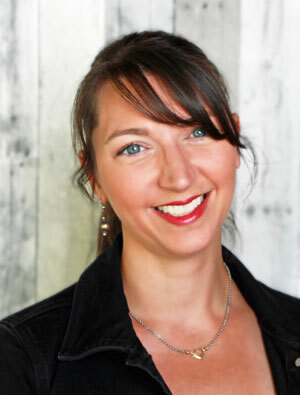 I am doing a party this Sunday, so some great tips. That’s a super cute and fun idea for a party. I’m hosting a family gathering for the kids in the middle of September and this would be a great idea as a theme. looks like great fun:-) We dont have such a huge selection of marshmellows here! Im from South Africa! This is a great idea because it give people so many options! Such a fun idea! 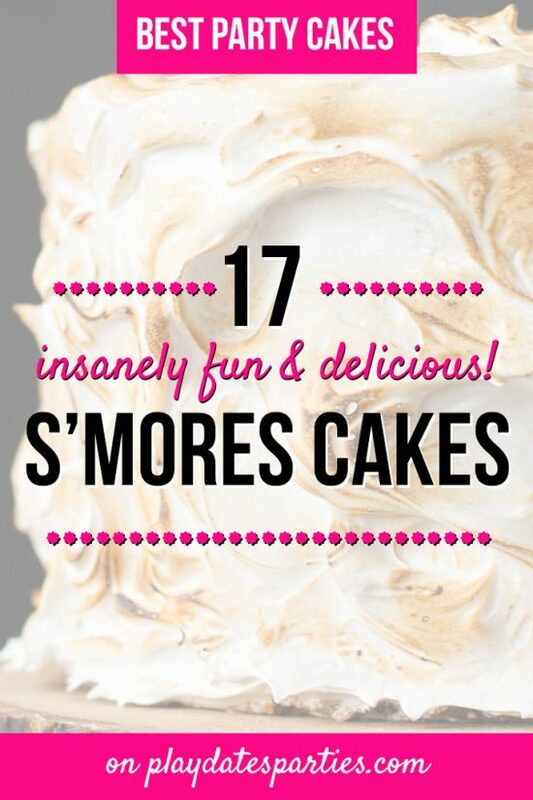 Planned, or last minute; who doesn’t love a smores party? Thanks for sharing with SYC. What a fun party idea! I know my grandchildren would love to come to a party like this or host one at my house.